Houseplants look amazing in this gorgeous set of Burgon Ball Barcelona plant pots from Home & Garden. Designed with geometric and modernist patterns. 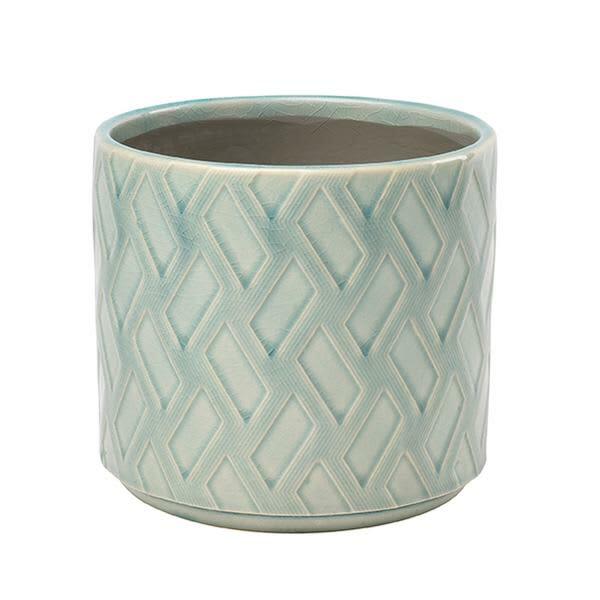 Made from durable stoneware and finished with a beautiful crackle glaze. Available in two soft colours - Celadon and Citrus.